Commercial Sales Support Jobs - Bortek Industries, Inc.
Are you awesome? If so, we want you to join our Commercial Sales Team! We need friendly, helpful, and motivated individuals to grow and maintain customer accounts. You’ll be in communication with a variety of people, answering questions, demonstrating products, and keeping customers informed of the supplies we have to offer which may be relevant to their needs. We want to bring convenience and quality customer care – help us do it! Openings are currently available in the Mechanicsburg / Central PA area and Pittsburgh / Western PA area. This is an excellent ENTRY LEVEL sales position for someone who is interested in learning our business and ready to build a career. 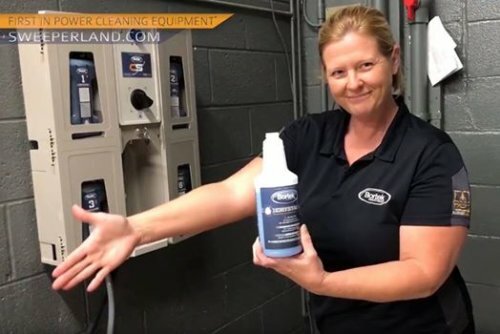 Responsible for selling our extensive line of janitorial supplies and paper products, service and parts to business customers in the Central PA area. Constantly seeking to grow the territory with new business from new and existing customers. Regular service of existing customer accounts. Applying yourself to self-improvement (honing your craft) on a regular basis, the job is Monday – Friday but a good salesperson looks for opportunities 24 / 7! Being a good team player, knowing when to call in reinforcements – ours is not a cut-throat sales environment, we are most interested in taking care of the customer. We require background checks and drug screening on all hires.